Stradivari Strings was established in response to the need for top quality music education, as well as for superior quality music instruments in Singapore. 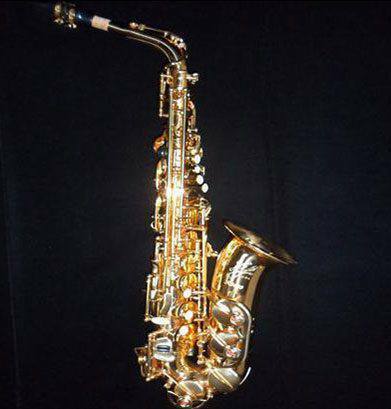 This beginner level saxophone is finished in gold lacquer and comes with a semi-hard black saxophone case. When I first walked into Stradivari Strings to re-string my violin, I didn’t know I’ve walked into a whole new world of experience. Rita could tell I have a lot of interest in picking up violin. And with her sharp eyes, she could tell my old violin was factory made and of low quality. She then proceeded to set up an appointment with me for a new violin since I was so interested. During the appointment, Rita made sure to let me play and emote with each violin and bow, it was a hands on session of playing on a range of violin and bow. She also shared her vast knowledge and experience on violin with me. Throughout the 2 hour appointment on selecting violin and bow, I was taking in all the teachings she had to offer. Alas, I found one that I really loved, although a little out of my budget, Rita took the time and offered to help with financial planning. The class afterwards with Mr Yeo was also amazing. I had learnt so much in 45 mins that I could play twinkle twinkle little star within that session. Thank you Rita and thank you Stradivari Strings for the immersing experience! Highly recommended! I have been learning violin for over 5 years. While visiting Singapore, I went to all the violin shops in town. I found my dream violin at Stradivari strings. The owner, Rita, helped me to select violin. She is so knowledgeable in this field! Each violin has its own character and tone quality. While selecting my violin, I also had detailed coaching from Mr Yeo, a very experienced violin coach. He pointed out my bow hold issues and gave me pointers on shifting and executing vibrato. My tone and intonation improved a lot after I learnt these important tips from Mr Yeo. He is an inspiring teacher. Just one class from him improved my playing. With that, I was able to attain distinction in ABRSM Violin grade 5. When I return to Singapore this year, I will take more masterclasses with Mr Yeo. Thank you Stradivari Strings! You are wonderful. My daughter wanted very much to learn cello as her second music instrument, but without any knowledge of cello, we searched online to find out where to buy cello. My daughter being concerned not to overspend her parent’s money, had wanted to buy a second hand cello online. However I managed to persuade her not to do so. We found Stradivari Strings and arranged an appointment with Ms Rita. We had such a wonderful experience — Rita spent a total of 3 hours with my daughter. During the selection process, she patiently explained the different wood qualities in making cello and bows, and guided my daughter to play on the range available so she can identify the tone quality she likes. With Ms Rita’s unhurried assistance, my daughter was allowed to test play the range of cello and bows. Finally she found the perfect cello and bow and will start with a professional level coach for lessons. My whole experience with Stradivari Strings is very positive. And I am very happy that we came to the right shop and enlisted the assistance of the right person to get the perfect cello and bow for my daughter. Rita at Stradivari Strings is wonderful! I had to get my 6 year old daughter a cello. She was informative, honest and very helpful. She explained the different types of instruments and the prices. When I asked her about lessons for my girl, she offered to help with instructors she knew. My other daughter needs a ukulele and we are getting it from Stradivari Strings … all our best. I bought myself a cello from Stradivari Strings. Rita treats her customers like family and really makes them comfortable by understanding their needs and expectations. Her hand is like a magic wand which makes the right cello come to you. I believe the most important thing is you should get connected to the instrument you buy and I am really grateful to Rita for making it possible. 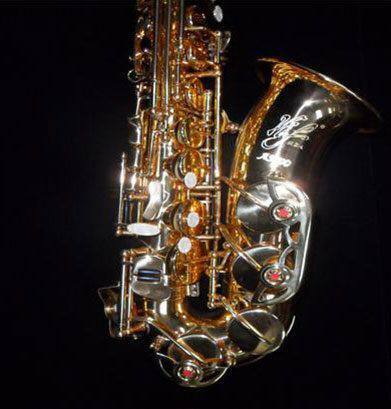 I found a reasonably priced saxophone at Stradivari Strings and enjoy playing on it. Thanks to Stradivari Strings for patiently explaining to me the various saxophone options available. It is my dream to be able to play the violin. Stradivari Strings spent two hours with me giving me detailed and solid advice on how to select a violin. I bought a good quality European violin from Stradivari Strings and I am very satisfied with it. Stradivari Strings has a wide variety of hand crafted music instruments to choose from. The selection process for my cello is well thought out and clear. My parents and I had an easy time picking a cello which is reasonably priced. Kim at Stradivari Strings has been very helpful. Our son Jay has been asking us to get a violin for him for a long time. We contacted Stradivari Strings and were very impressed with the knowledge and service provided. I bought my violin from Stradivari Strings. They have extremely in depth knowledge on violin and violin bows, and were very patient with my questions. I am glad I selected my violin from Stradivari Strings. My experience with Stradivari Strings in selecting my violin was awesome. The owner gave me a lot of information in order for me to make an informed decision in selecting my violin. It was very fun and interesting to compare various cellos in the shop. All instruments have different characteristics. I love my cello from the beginning, and am grateful for Stradivari Strings to let me meet the instrument. I really enjoyed myself during my violin selection session with Stradivari Strings. Rita was very patient and guided me to try a wide range of violin. She educated me a lot of in terms of product knowledge about the violin and the violin bow, and explained to me how to pick a good violin. I spent eight hours over 2 days at Stradivari Strings and selected the violin and violin bow which I will own for life. My daughter Faith did not have confidence performing on the violin in her school. I contacted Stradivari Strings and they put me in touch with one of their experienced violin teachers. Faith took a crash course of 4 lessons over 10 days and regained her confidence level. The performance in school was a success. Thanks, Stradivari Strings! Stradivari Strings is very detailed and professional during my violin selection process. They have a wide range of violins suited for the beginner all the way to the advanced player. I am impressed by the great selection of string instruments at Stradivari Strings. My 6 year old daughter loves the cello you helped us select at Stradivari Strings. When my son progresses to intermediate or advanced level in violin, I will definitely upgrade his violin to one from Stradivari Strings. The streamlined and personalized service I received from Stradivari Strings made my initial experience with the violin wonderful. Now, playing the violin has become my passion. Stradivari Strings provided a lot of information and great advice to me, during the violin selection process. I spent a lot of time trying out violin and bows and eventually selected one that suits me. Stradivari Strings also recommended an amazing violin teacher to me. I highly recommend Stradivari Strings! I am a music conservatory student currently pursuing music degree. After checking out all the violin shops in Singapore, I decided to select my violin from Stradivari Strings as their collection of advance level violin and bows are impressive. Rita was very patient with me as I spent 2 days at the shop, playing my range of repertoire on three violins which I had narrowed down. Eventually I decided to get a violin hand crafted by Gunter Lobe, who is ranked top 3 maker worldwide who is still alive. I am very happy with my choice and highly recommend any serious violinist to go to Stradivari Strings. Stradivari Strings is very friendly and knowledgeable about music instruments. During my violin selection session with Stradivari Strings, I was given a lot of information to make an informed choice on the violin I would eventually select, I was given a lot of time to decide on my violin and violin bow. They were not pushy at all. I am extremely happy with the Peter Racz violin I eventually selected at Stradivari Strings. My son loves the cello that we bought from Stradivari Strings. He refuses to practice on his previous cello, but spend hours playing on his new cello. I am so grateful that we found Stradivari Strings! Thanks! Stradivari Strings was very thorough in helping to select a viola which is suitable for my build. I received great advice and information including the type of wood, age of the maple spruce, to the quality of the rosin for my viola bow. I am very pleased with the viola and the lovely sound it produces. Last year, I decided to take up the violin. I found the contact for Stradivari Strings and gave Rita a call to set up an appointment to select a student level violin. Rita was very thorough in asking about my level of commitment to learning the violin as she wants to find an instrument and price range that is suitable for me. She was also very patient in answering all of my questions. Rita gave off a good vibe to me as a would-be customer in that she was not pushy at all, and she emphasized that I should take my time to consider that the violin is something that I like, and is within my budget. When I requested a second appointment to view other violins, she was happy to accommodate my request. To date, I have already purchased two violin and two bows from Stradivari Strings. Their professionalism and level of service is something that I would strongly recommend to anyone who is looking to purchase a string instrument.